Community Parks | JTR Inc.
Jonathan T. Ricketts, Inc.’s vast experience includes general civil engineering design and construction management services for park-type projects, including an athletic sports complex, passive natural areas, corridor/trails, and community parks. A primary objective of the firm is to work effectively with commissioners, committees, public boards, developers and citizens to provide their recreational needs within the project constraints while ensuring that the project fits in with the environment. As a requirement of a federal mining permit, PCS is mitigating over 5,000 acres of disturbed lands for reversion into their historic state, including restoration of wetlands and headwater streams. Jonathan T. Ricketts, Inc. is responsible for performing onsite soil studies, current, proposed, and future hydroperiod modeling, design, permitting, and construction management services. Ricketts developed restoration plans for the site including the addition of corridor/ trails throughout the site for access to this passive natural area. Facilities for hunting access and use were also designed. 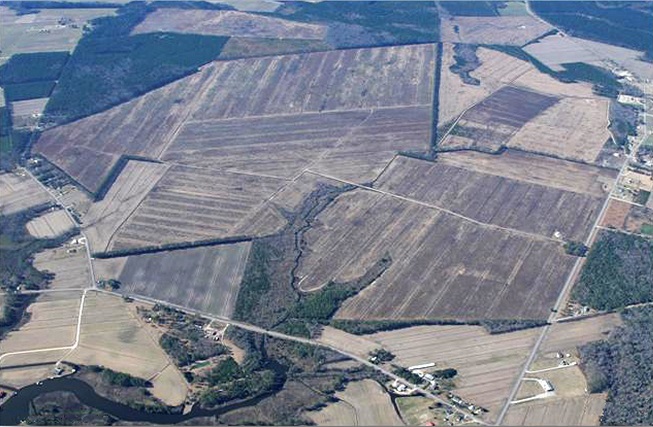 These plans required in-depth permitting with the Army Corps of Engineers and the North Carolina Department of Environment and Natural Resources. The overall mitigation efforts for this project are phased with approximately 1,200 acres completed which are currently being monitored for success over the next five years. The remaining 4,000± acres of land are in various stages of the planning, design, permitting, construction, and monitoring processes. The Promenade Park is the centerpiece of the Boynton Beach Redevelopment Agency’s work whose goal was to provide a link to from the urban corridor of Boynton Beach to the natural beauty of the Intracoastal Waterway and the adjacent 13 acre mangrove preserve. This park was the first step in the City’s successful redevelopment program and served as a catalyst for more than $20 million dollars of other work at the adjacent marina and other public facilities. The park’s construction involved critical coordination with various state and federal agencies to ensure protection of the sensitive environments within the Intracoastal Waterway and the adjacent mangrove preserve. 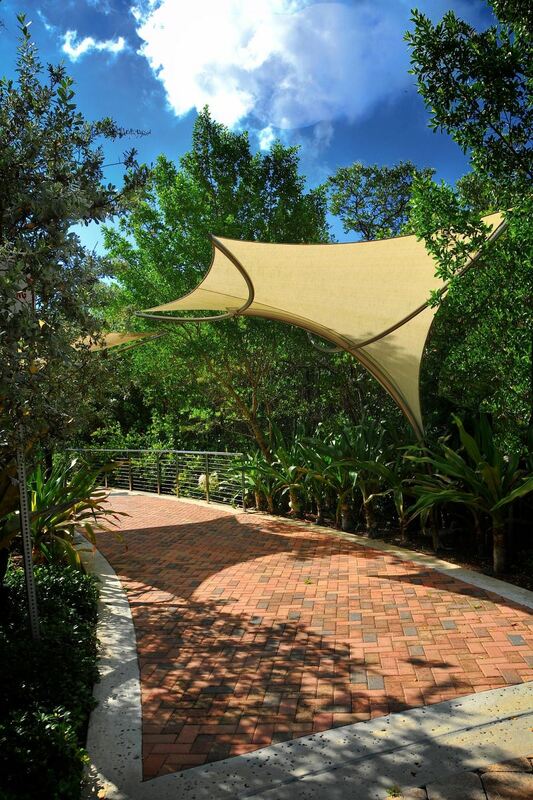 The park’s amenities include an Intracoastal viewing area, benches, paver brick walkways, artistic shade structures, extensive native landscaping, site lighting and interpretive signage. Jonathan T. Ricketts, Inc. served as the construction manager of this project. 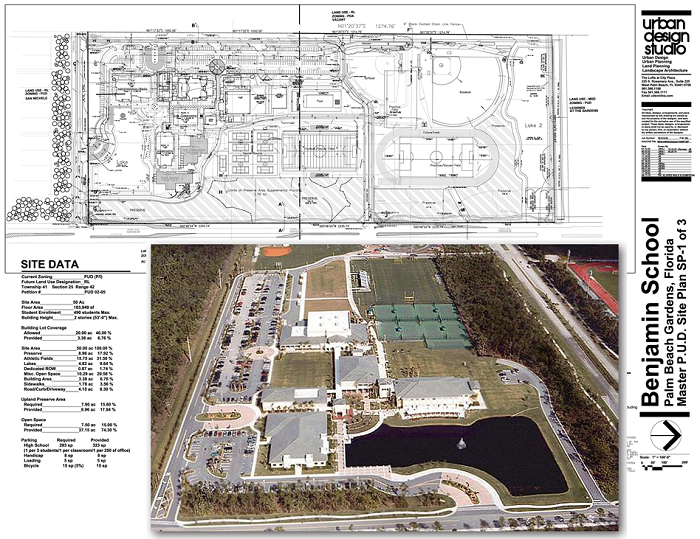 A 50-acre site with 10.29-acres of open space and a 15.75-acre athletic complex designed to be a multi-seasonal, multipurpose facility suitable to serve 50+ middle and upper school sports teams. 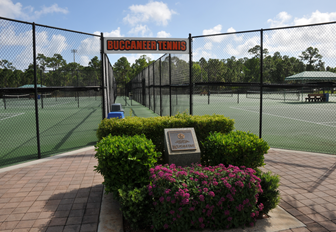 The complex provides training areas for student athletes to excel at football, soccer, softball, track and field, tennis, basketball, lacrosse, competitive cheer, volleyball, and wrestling. 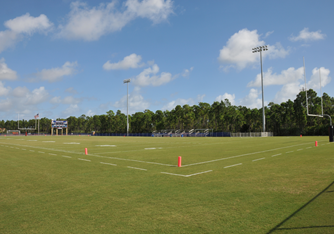 The Benjamin School also hosts annual Florida High School State Athletic Association competitions for regional, Class A events in volleyball, soccer, softball, basketball, and track & field.